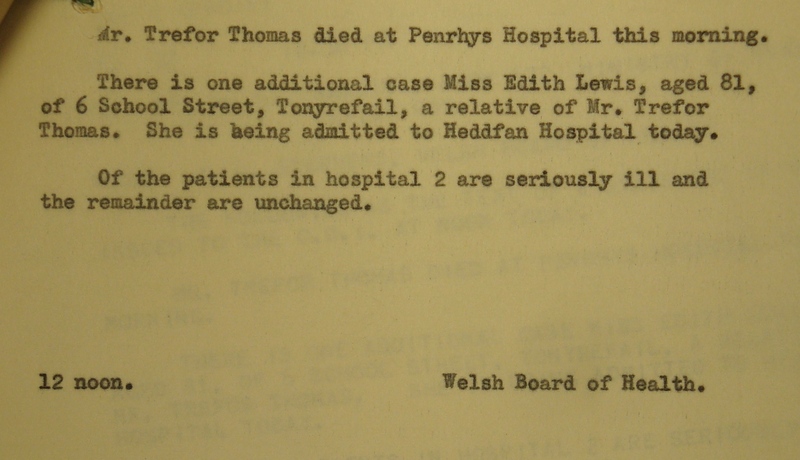 A document in the original files of the Welsh Board of Health shows a clear – and previously unknown – link between the case of Trevor Thomas of Tonyrefail and that of Marion Jones, friend of the original victim, Margaret Mansfield. 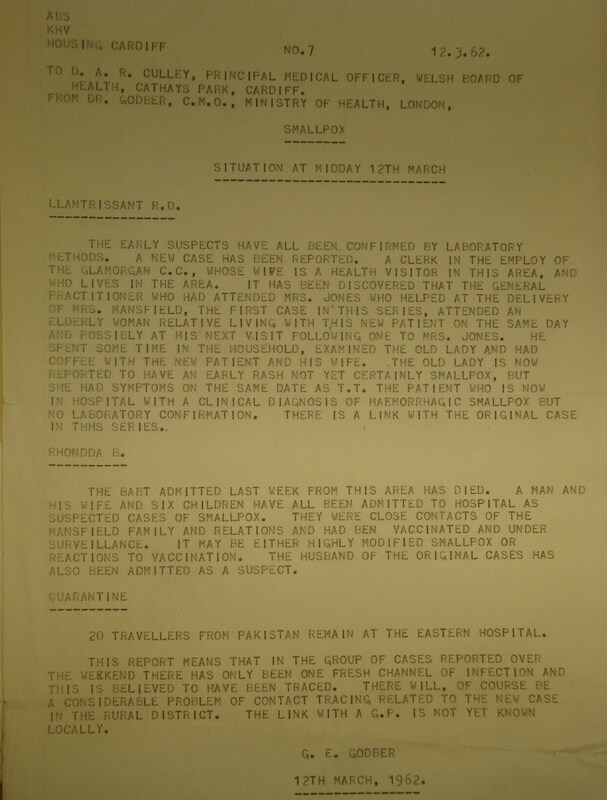 The couple and six children referred to in this document were the Clothier family, neighbours of Patricia Pugh – she was Margaret Manfield’s sister and also died. The baby whose death is referred to was 9-month-old Melanie Williams from Edmundstown.